Our Curry Club multi cuisine restaurant serves a truly wide variety of food from round the world. The restaurant is designed to ensure that both business and private diners can experience the highest standards within a sophisticated yet informal atmosphere. Our Roof Top Garden Restaurant presents a perfect setting to enjoy a panoramic view of the Mussoorie , Budhha Temple and the city while you and dine in the garden. A range of mouth-watering dishes are available on our menu which changes on a weekly basis. Our Restaurant offers a stimulating experience at breakfast, lunch and dinner. A wide range of lip smacking delicacies, some Regant specialties and a Multi Cuisine menu having the choicest of dishes from around the world is what we have for you. 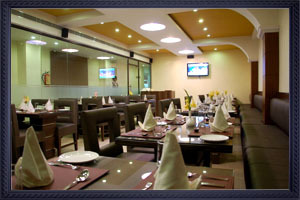 The pleasing ambiance of our restaurants makes your dining experience all the more special.Our Staff is well mannered and experienced and offers their dedicated service to their valuable customers.